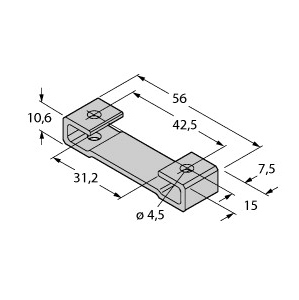 Mounting bracket, for linear position sensors Li-Q25L. Mounting foot for linear position sensors Q25L. Anodized aluminium. Packaging unit: 2 pcs. Recommended torque: 3 Nm. 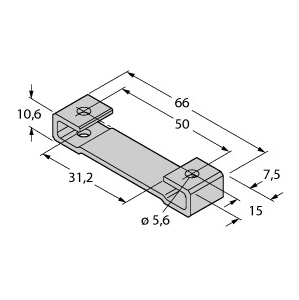 Mounting bracket, for linear position sensors Li-Q25L. 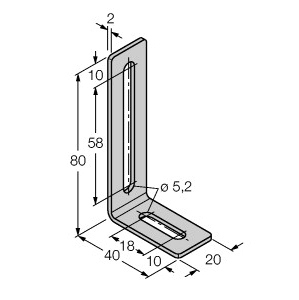 Mounting bracket for linear position sensors Q25L. Stainless steel. Packaging unit: 2 pcs. Incl. 2 x MN-M4-Q25. Mounting bracket, for linear position sensors. 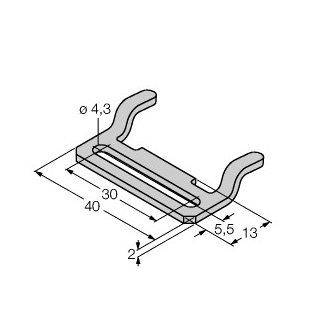 Mounting clip for linear position sensors Q25L. Stainless steel.